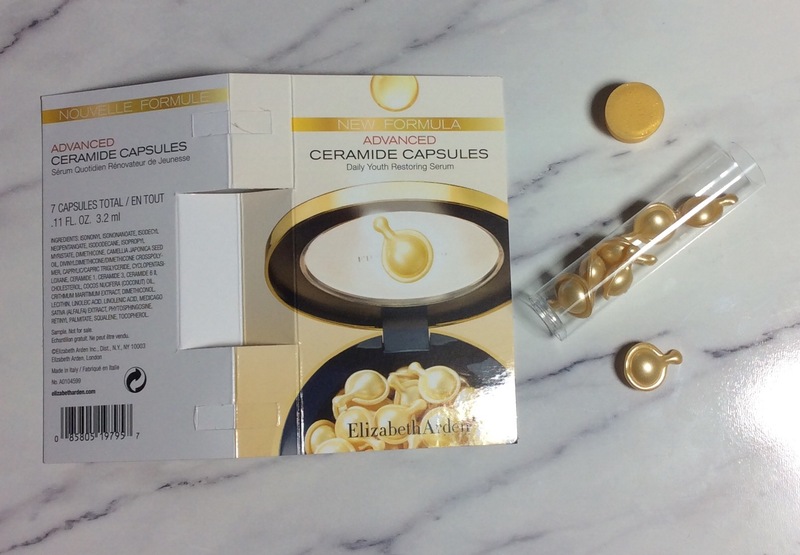 Another free sample offer currently available with consultation and while stocks last is the Elizabeth Arden New Formula Advanced Ceramide Capsules (Daily Youth Restoring Serum)– 7 day supply (7 capsules). You just need to ask at any Elizabeth Arden counter and then you will receive your free 7-day supply / sample with a skin consultation while stocks last. This is the perfect way to try this product. Described as Pure. Potent and Precise iconic capsule now packed with the triple the youth restoring power, helps to strengthen and restore skin’s moisture barrier, your first defense against aging. Immediately re-texturises and revitalises the look of skin. Supports skin’s natural collagen for a firmer look. Enhances skin hydration for a fresh and balanced feel. Skin is noticeably softer and smoother. Preservative and fragrance free. Clinically and dermatologist tested. Biodegradable. To Use: Open capsules by gently twisting tab around and then squeeze onto fingertips (use all the capsule) and then smooth serum over cleansed face and neck morning and night before moisturiser (I used one capsule at night). I have already tried the 7 day sample (using one capsule at night). As advised you just twist tap to open capsule and then squeeze serum onto fingertips. I was surprised at just how much product is in each capsule, plenty for face, neck. There is no overpowering fragrance which I love. I applied the serum before my moisturiser, massaged it in and was delighted that it sank into my skin really quickly. In the morning my skin appeared to be brighter more radiant and softer and after a few days use these results were even more enhanced. I also think if you use for a longer period of time the results may be even better. This product is now on my shopping list for when I get a chance to use up all the products I already have, but as always will be looking out for best offers available and remember to do the same. I hope you found this useful – remember the above free sample offer will be available while stocks last, so the quicker you can get into a Elizabeth Arden counter the more chance the sample will still be available.